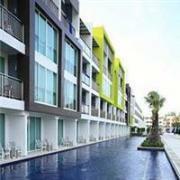 Save 15% when you book 2 nights or more at the Citin Loft Hotel Hua Hin. 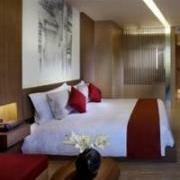 After applying this discount to their already low rates, prices start at just THB1,154 (USD37) for a Superior Room. Rates include breakfast for two, WiFi, and tuk-tuk shuttle service to the beach. A 10% service charge and 6% local taxes are additional. This is an on-going promotion and available until further notice. Experience the newest 5-star resort on beautiful Koh Samui for a special price! 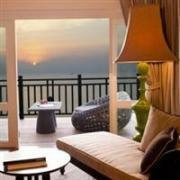 Opening rates at the InterContinental Samui Baan Taling Ngam Resort start from THB6,500 (USD210) for an Ocean View Room. This rate includes WiFi Internet and buffet breakfast for two people. A 10% service charge and 7% local taxes are additional. The “Opening Special” is available until July 15, 2012. 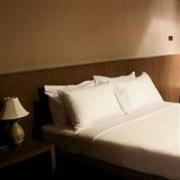 For great value accommodations in central Bangkok, look no further than the Bangkok City Hotel. Make an online booking to receive special rates of THB1,090 (USD35) for single occupancy or THB1,190 (USD39) for double occupancy in a Standard Room. This rate includes breakfast, internet access, and all taxes and service charge. This promotion is available until September 30, 2012. 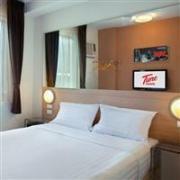 The Tune Hotel Pattaya officially opened on February 17, 2012. Opening rates start from just THB499 (USD16) from now until March 31 and THB699 (USD22) until May 31, 2012. The quoted price is for a Standard Room with one double or two single beds. Extra fees apply for breakfast, air-conditioning, internet access, and other extras. A 10% service charge and 7% local taxes are additional. Enjoy discounts up to 35% at the trendy Sugar Palm Resort at Karon Beach, Phuket. Discounted room-only rates start from THB2,184 (USD70) for a Superior Room, THB2,496 (USD80) for a Deluxe Room, and THB2,886 (USD93) for a Deluxe Pool Access Room. These are nett prices inclusive of 10% service charge and 7% local taxes. Promotional rates are available now through May 30, 2012. Be among the first to stay at the brand new Sofitel So Bangkok Hotel and receive a USD80 hotel credit to spend on dining, spa treatments, or a room upgrade. 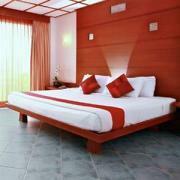 Nightly rates start from THB5,750 (USD186) for a So Cosy Superior Room with free WiFi. A 10% service charge and 7% local taxes are additional. The ’80 Dollars Credit for 80 Days’ promotion is available through May 19, 2012. Treat yourself to a blissful beach holiday with the “Spa Lover Package” at the Vogue Resort Krabi. For THB10,527 (USD340), the package includes 3 nights in a Deluxe Room, daily breakfast, WiFi, return airport transfers, a 60 minute aromatherapy massage, and a 30 minute steam bath. A 10% service charge and 6% local taxes are additional. This package is available through October 31, 2012. Save 25% on luxurious Sea View Suites at the ShaSa Boutique Resort, Koh Samui. 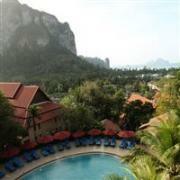 After applying the discount, rates start from THB5,181 (USD167) per night. 10% service charge and 8% local taxes are additional. Rates include a welcome drink, breakfast, fruit basket, WiFi internet, and use of the sauna and hydrotherapy pool. This promotion is available from February 11 – October 31, 2012.